Here are the steps you should follow to grow your own pumpkins. An important factor in growing pumpkins is choosing the correct type of seed; pumpkins come in a variety of sizes, not to mention that some are better grown for certain purposes. Do some research before deciding which pumpkin is right for you to grow. Before you plant your pumpkins be sure to choose an area that gets eight to ten hours of strong sunlight a day. Pumpkins grown in the shade will often refuse to fruit, which means that they won’t produce pumpkins. If they do manage to produce, pumpkins that are raised in the shade are small, misshapen and poorly colored. Great pumpkins are the ones with the bright orange glow. Carefully nick the hard seed coat with your fingernail or a sharp knife but do not cut all the way into the seed. Place the seeds into a glass of water and soak them overnight. Nicking the shells and soaking the seeds will make pumpkins sprout faster. Any seeds that are still floating after twenty-four hours should be discarded because they will not sprout. When planting the seeds you want to plant them when your nightly temperatures are not going to drop below 50 degrees Fahrenheit. If you want to get a jump on the season you can start the seeds indoors a few weeks before the last frost is expected. The next step is to plant your seeds. When planting your seeds you should be sure to plant then about three inches deep in the soil. 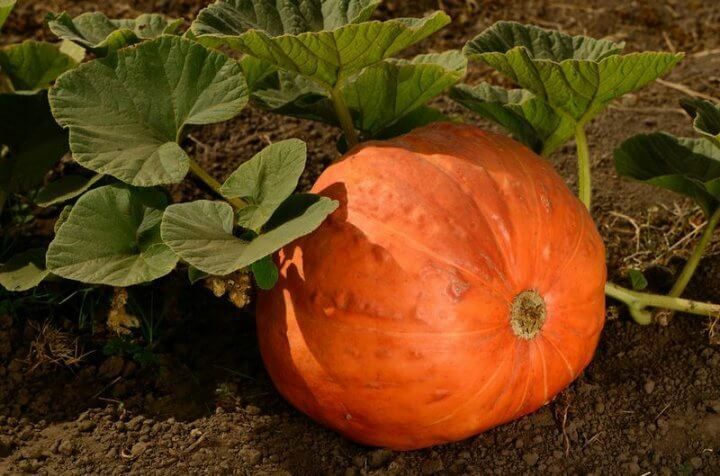 The more organic materials your soil has the better your pumpkins will grow. Compost from the compost bin works great. When you are planting the seeds you want to be sure that you are planting them in groups of three in small mounds. Once you have planted the seeds in the mounds you should sprinkle a quarter cup of blood and bone meal over the mound and water the mounds. You can find the blood and bone meal at most garden centers. Once you have planted your seeds you need to keep an eye out for your seedlings, especially when you are weeding. If you see two round, opposite leaves they belong to the pumpkin. You should also protect your seedlings from any birds or bugs that enjoy munching on newly sprouted plants. The best way to protect your plants from birds is to use some type of netting to cover the plants until they are more mature. Now that your pumpkins have started to grow you are going to need to trim off some of the pumpkins from the vine. For larger pumpkins you are going to want to trim off all but one pumpkin for each vine. If you are growing smaller pumpkins you can leave quite a few pumpkins on each vine. The best thing to do is to consult your local nursery or the directions on the seed packet to see how many they recommend leaving on the vine. Of course this also depends on how many pumpkins you want to have available for your own personal use. Make sure that you put a board under your pumpkins to prevent rot. When the pumpkins are big enough, position their bottoms so they sit flat on the board; this will help to ensure that the bottom of the pumpkins are flat and will sit upright. When harvesting the pumpkins you want to make sure that they are fully mature and that you leave at least 4 inches of the stem attached to the pumpkin.